President Trump’s life is in danger. Prayer is critical for his safety and security. According to reports from Monica Crowley, Liberal forces are looking to destroy him and put him in prison. They are saying Trump must not be allowed to succeed. Many (like the ACLU and like George Soros) have raised millions to impeach him. Yes, liberals and evil forces have an agenda for this world and they will stop at nothing to achieve it. They want everything that Donald Trump is not. They want a globalist; they want open boarders; they want tolerance for all without law and order; and they want to stifle all those who speak and act contrary to their agenda. Here is a prayer for protection against the wicked, which David wrote and prayed for himself. We can pray this prayer for President Trump and for all those who are on his team. They continually stir up wars. Poison of a viper is under their lips. Who have purposed to trip up my feet. They have set snares for me. Give ear, O Lord, to the voice of my supplications. Thou hast covered my head in the day of battle. Do not promote his evil device, lest they be exalted. May the mischief of their lips cover them. Into deep pits from which they cannot rise. The upright will dwell in Thy presence. This entry was posted in US Government/Politics/White House and tagged ACLU, evil forces, George Soros, globalism, liberal forces, Monica Crowley, open borders, Prayer, prayer for protection, Psalm 140. Bookmark the permalink. Here’s a post-script to your timely and on-target prayer: “And may you bless President Trump, as the God of all providence, in a way that resembles how a Roadrunner defeat a Rattlesnake!” (To appreciate that prayer’s simile, go to YOUTUBE.COM and enter “Roadrunner vs Rattlesnake” — it only lasts about a minute — and it illustrates how God has providentially equipped some creatures to defeat vicious snakes! Thanks. I saw the video. I didn’t know that about roadrunners. 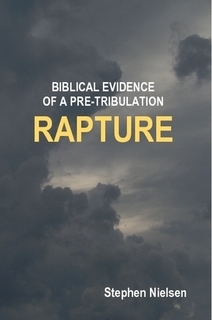 The Rapture of the Church is near. Click on this image to review or buy this book.